Halloween, love it or hate it, is quickly approaching. 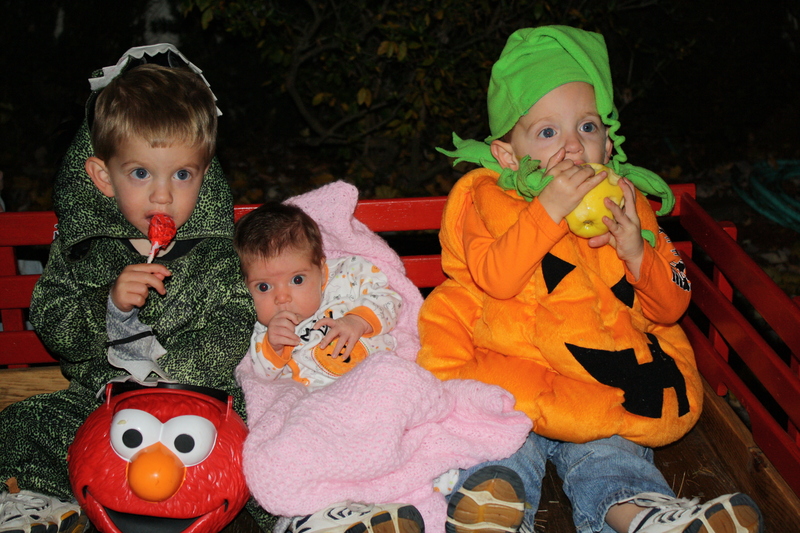 Personally, I’ve never really been that into Halloween, but since having kids I’ve been trying to find ways to make it fun (and safe) for them. And, because I’m cheap, I like to come up with several opportunities for my kids to wear their costumes since I’m shelling out the money for them already. For the past two years I’ve been trying to get to Castle Island for their “Children’s Magical Halloween Castle.” It’s free and is held Saturday October 22nd-Sunday October 23rd from 12-4. Costumes are optional and I’ve heard from several moms I know that it’s a great event. I will get my family there this year! Moose Hill in Sharon is having their annual Halloween Prowl the last weekend of October. From their website, “This annual event is experienced in a creative, non-scary, safe and educational manner.” They will have a barn full of jack-o-lanterns, luminaries, and guided walking tours with skits along the way. When you finish your tour they will provide refreshments. It is free for children under 3 and $9 per person over 3. You do need to sign up for this one in advance. If you and your family love to carve pumpkins, you can go down to Sharon the Thursday before the Prowl to carve pumpkins for free. Those pumpkins will be used for the Prowl and, if you want, you can pick them up that Monday to use for your own Halloween decoration at home! We will be doing that for sure! The Easton Children’s Museum is having their Halloween Romp on Saturday, October 22nd. Their website states that they will have crafts, a fortune teller, games, and trick or treating through themed rooms. This event is $5 per person for members and $10 per person for nonmembers. You need to sign up in advance for this as well. Check out your local library for any events they might have. My library has Halloween Story time every year where the children can wear their costumes. 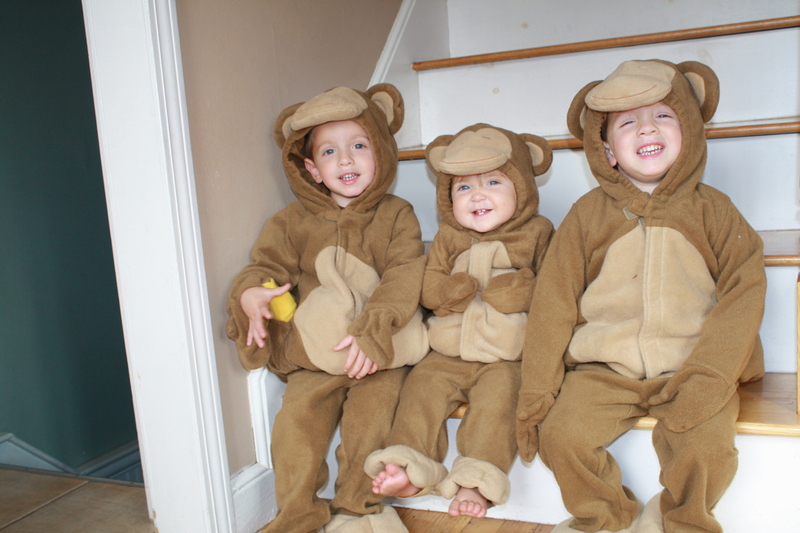 Last year my kids happily paraded past the librarians wearing their Curious George garb. They had a great time! Although this is not at all related to festivities, one tradition I’ve established is to buy the children Halloween pajamas every year. Mainly because I have a small addiction to pajamas (I may or may not have a hard time shutting their pj drawers when all the laundry is done) but also to mark their growth every year in a cute way. I found some really cute pajamas this year at Walmart for $6 a pair. They look like the Gymboree skeleton pjs but way cheaper! I’ll keep an eye out for other fun Halloween events and let you all know if I find any. Anyone reading know of any others? Boo at the Zoo at Buttonwood is an event we’ve never been to, but we always go to the zoo in the afternoon right before it, when all the pumpkins and blow ups are usually out and looking great. The kids love it. Middleboro Library has a halloween party 4:30-5:30 on the 31st: Stop by the library in your costume to get in a little partying before it’s time for trick-or-treating! Miss Liz and the library staff will host this Halloween celebration, which will include crafts, games, and a spooky story session by Miss Marilyn Thayer. Recommended for ages 6 and up. National paranormal expert and author Jeff Belanger is one of the most visible and prolific paranormal researchers today. He’ll be appearing at the library for a special Halloween presentation and book signing. Since 1997, the former journalist has interviewed thousands of eyewitnesses to paranormal occurrences. He is the author of a dozen books on the paranormal including the best sellers, The World’s Most Haunted Places, Our Haunted Lives, and Who’s Haunting the White House (for children). for The Boston Globe and other newspapers, and is the series writer and researcher for “Ghost Adventures” on the Travel Channel. He’s been a guest on more than 200 radio and television programs including: The History Channel,The Travel Channel, PBS, The CBS News Early Show, FOX, NBC, ABC, and CBS affiliates, National Public Radio, and The BBC. Norton has a very kid friendly parade the last Sunday in October at noon. It runs right down Main St (Rte 123) and many kids come in costume, lots of candy is thrown etc. Low-key and free, a nice Sunday afternoon event.